Gastroesophageal acid reflux disease (GERD) can wreak havoc on your oral health. Patients who suffer from GERD have a high risk of sustaining damage to the esophagus and may even develop esophageal cancer. Other common side effects include heartburn, hoarseness, bad breath, and sinus infections. One of the other, lesser known effects of GERD is tooth decay. GERD causes stomach acid to travel up the esophagus and into the mouth. 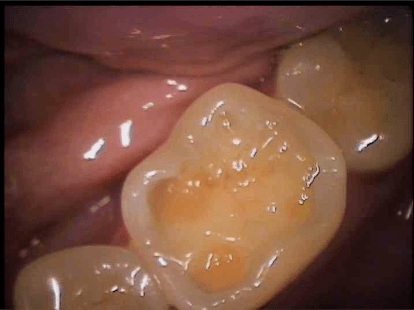 This constant attack of acid in the mouth can lead to tooth erosion and periodontal issues. It’s important to visit your physician and take the necessary steps to treat GERD. You may be prescribed medication and will probably be told to avoid foods such as tomatoes, alcohol, coffee, citrus foods, and spicy foods among others. Changing your diet and taking certain medications will hopefully keep your acid reflux disease under control. However, it’s important that you take care of your teeth as well. Dentists can easily identify damage in your mouth caused by acid reflux and will recommend certain measures to help protect your teeth. If you suffer from GERD or suspect you might have GERD, speak to your dentist immediately. They can help you determine the best course of treatment to maintain your oral health.